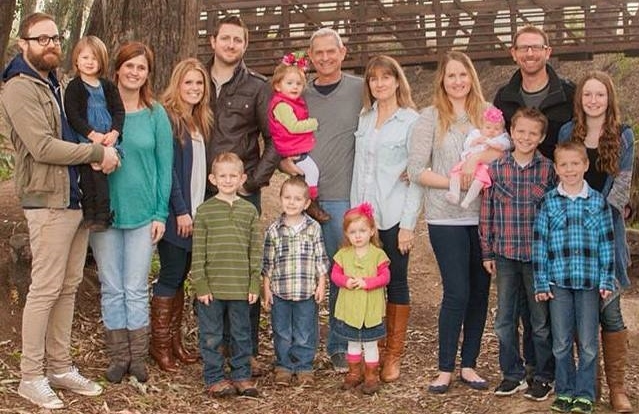 I’ve always been open to any help in passing my faith on to others – especially my family, which now includes my wife, our three children and their spouses, and nine precious grandchildren (with one more on the way). Everyday my family is in my prayers and thoughts. I treasure the life and love we share. I’m especially thankful for how each one is growing in their love for God and others. Seeing this thrills me. Since the day thirty-five years ago when God gave us Brent, our first child, I’ve tried to do what God says a dad should do. but bring them up in the discipline and instruction of the Lord. I’ve longed to please God by helping the children He’s entrusted to our care come to believe in Jesus Christ for salvation and in turn live out lives of genuine faith. That hoped for outcome has kept me on my knees. It’s also motivated me to do my best to live out Proverbs 22:6 which says, “Train up a child in the ways he should go, so when he is old he won’t depart from it” (the faith). Passing our faith on to our children isn’t automatic. It’s a huge challenge which is why I’ve turned to others for help, in a variety of ways. I’ve sought out all kinds of resources: people, books, videos, support groups, church, and camps. And that’s just naming a few. Now I’ve added Bible StoryBoards to my parenting/grandparenting arsenal. It’s given me a simple way with 15 pictures to help our kids and grandkids know and share the greatest story ever. The fact is, the vast majority of people can’t tell the bottom line story of the Bible – from Genesis to Revelation. 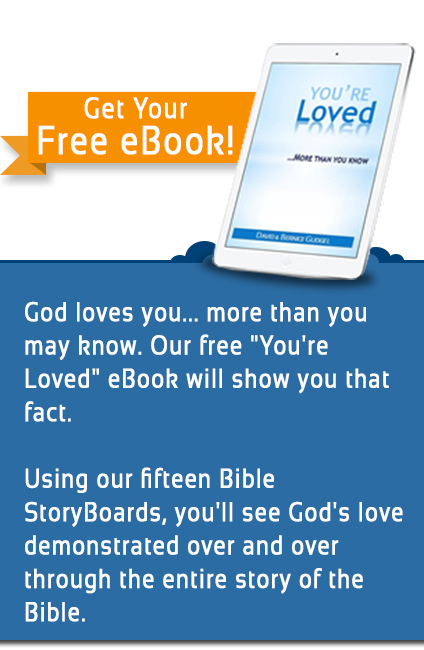 They know some familiar stories from the Bible, but not the story behind those stories. Not understanding the simple storyline of the entire Bible: limits our knowledge of God, stands in the way of understanding specific parts of the Bible, limits our appreciation for God’s love, skews our understanding of God’s justice, limits our understanding of what God wants from us and for us, and weakens our evangelistic witness. And when we don’t know the story behind the Bible stories, it limits our ability to help our children and grandchildren understand God’s Word so they can know more about who God is and what it means to walk with Him. Like me, do you want to do all you can to help your family grow to love God through an understanding of what the Bible is really all about? 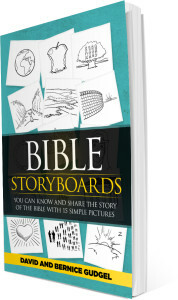 I’m glad Bible StoryBoards is a new tool in my toolbox that can help me do that. I hope you find it to be a help to you too.